In 2003, Alexander Alekhine's grave was restored after it was heavily damaged in a severe storm and a tree fell on the grave. In 2003, an inmate in Utah was prohibited from subscribing to a chess magazine because he was under "intensive management." In 2003, the first Chess Boxing World Championship was held. In 2003, Air Force Sergeant Leroy Hill (2068) won the 44th annual U.S. Armed Forces Championship, held at Kelly AFB in San Antonio, Texas. Air Force won the team championship. In 2003, Walter Browne was inducted in the US Chess Hall of Fame. In January 2003, the top FIDE rated players were: Kasparov-2847; Kramnik-2807; Anand-2753; Topalov-2743. In 2003 the top chess computers were Shredder 7.04 (2810), Shredder 7.0 (2770), Fritz 8.0 (2762), Deep Fritz 7.0 (2761), Fritz 7.0 (2742), Shredder 6.0 (2724), and Chess Tiger 15.0 (2720). On January 5, 2003, Peter Nielsen won the 78th Hastings Congress. On January 18, 2003 Alexander Shabalov (1967- ) won the 2003 US Chess Championship, held in Seattle. On January 26, 2003, Vishy Anand won the 65th Corus tournament in Wijk aan Zee. In February, 2003, a fire ripped through the Pennsylvania home of chess master journalist Alex Dunne. His wife, Janet, and 2-year-old grandson, Ronald, were burned to death. Alex Dunne was not home at the time. His large chess library and computers were all destroyed. On Feb 4, 2003, Honorary GM (1985) Jaroaslav Sajtar (1921-2003) died in the Czech Republic at the age of 81. From January 26 to February 7, 2003, Kasparov played Deep Junior 7 in New York. The match ended in a draw. Kasparov won game 1. Deep Junior won game 3. The rest of the games (games 2, 4, 5, and 6) were drawn. This was the first time that a man/machine competition was sanctioned by FIDE, the World Chess Federation. Deep Junior took 10 years to program by Tel Aviv programmers Amir Ban and Shay Bushinksy. It can evaluate 3 million moves a second, and positions 15 moves deep. On March 6, 2003, GM (1954) Ludek Pachman died in Passau, Germany. He was born on May 11, 1924. On March 8, 2003, Lim Kok Ann, former FIDE general secretary, died. He was born on Jan 27, 1920. On March 9, 2003, Leko and Kramnik won at Linares. On March 15, 2003, Cambridge beat Oxford in the 121st varsity match. On March 27, 2003, Anand won the 12th Amber tournament. On April 8, 2003, an episode called "Chess Wars" appeared on The Bernie Mac Show (TV series from 2001 to 2006). Jordan tries to butter Bernie Mac up by playing chess with him so that he can later play paint ball. On April 9, 2003, Awonder Liang was born. He became the youngest chess expert (rated over 2000) in the United States Chess Federation (USCF) at the age of 8 years and 7 days. He became a master at the age of 9 years, 11 months and 13 days. On May 10, 2003, Milan Vukcevich (1937-2003) died in Cleveland. He was a Yugoslav-American scientist and a grandmaster of chess problem composition. On May 19, 2003, Georgi Orlov won the 28th Paul Keres Memorial, Vancouver, Canada. On June 21, 2003, Alvise Zichichi, former Italian champion, died in Rome. He was born in 1938. On June 21, 2003, Simon Andrews, 60, of Falls Township, Pennsylvania, stabbed to death Jerry Kowalski, 56, during a chess game. Authorities said that Andrews was disturbed by Kowalski's constant talking during their chess games. Andrews then pulled a knife from under a sofa-bed mattress and stabbed Kowalski in the neck. Andrews was sentenced from 15 to 30 years in state prison. On July 3, 2003, Shakhriyar Mamedyarov (1985- ) won the 42nd World Junior Championship. On July 6, 2003, Jaan Ehlvest (1962- ) won the 31st World Open, held in Philadelphia. On July 8, 2003, Attila Schneider, International Master, died. On July 11, 2003, Ken Whyld (1926-2003) died at the age of 77. He was a British author and researcher. On July 24, 2003, Boris Gulko won the US Senior Open, held in Wilmington, Delaware. On August 2, 2003, Abhijit Kunte won the British Championship. On August 15, 2003, Alexander Shabalov won the US Open, held in Los Angeles. On September 1, 2003, John Donaldson and Michael Langer won the 22nd North American Open. On September 1, 2003, Ehlvest and Ibragimov tied for 1st in the 125th New York State Championship. On September 12, 2003, Peter Svidler won the 56th Russian Championship. In September 2003, the 14th NATO championship was held in Hovelte, Denmark. Germany took 1st place, followed by Poland and Norway. The USA tied for 10th-11th. Top scorers were Harald Borchgrevink of Norway and Christian Seel of Germany. On October 27, 2003, Essam Ahmed Ali (1964-2003), an International Master and Egypt's top chess player, died of malaria after returning home from the All Africa Games chess tournament in Nigeria. The 60-year old head of the Egyptian chess delegation, Mohammed Labib, died of the same disease the next day. Both were incorrectly diagnosed in Egypt after becoming ill. Both were bitten by an infected mosquito that gave them malaria. On November 11-18, 2003, Kasparov played X3dFritz in New York. The match was tied 2-2. Fritz won the 2nd game. Kasparov won the 3rd game. Games 1 and 4 were drawn. It was the first official world chess championship in total virtual reality, played in 3-D. The 11th World Computer Chess Championship was held in Graz from November 22 to November 30, 2003. It was won by Shredder after a play-off with Deep Fritz. 3rd place went to Brutus, which evolved into Hydra. On November 29, 2003, Yuri Shabanov, age 66, won the 13th world championship for seniors. He was awarded the grandmaster title at age 66. On November 30, 2003, Suat Atalik, Varuzhan Akobian, and Pavel Blatny tied for 1st in the 39th American Open. 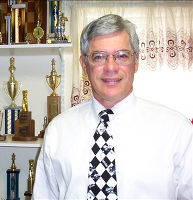 On December 15, 2003, Jaan Ehlvest won the 87th Marshall Chess Club Championship.